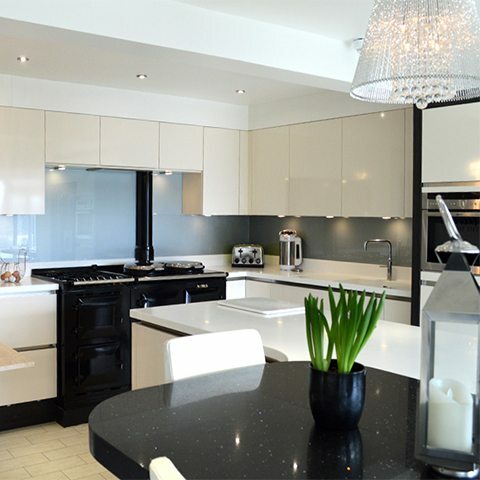 Mr & Mrs Moloney combined all their favourite things to create a kitchen entirely of their own design. 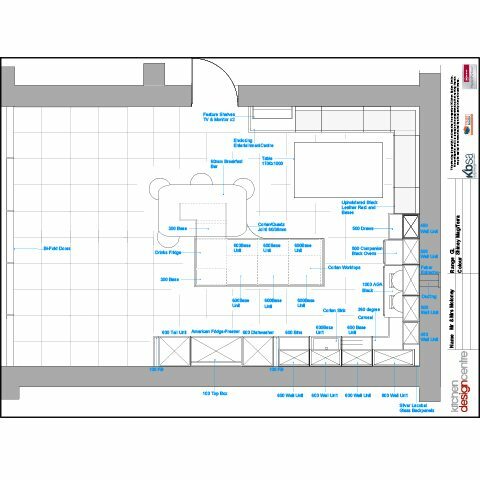 With a brand new kitchen proposed, the Moloney’s planned to make the most of their future space. With a brand new kitchen proposed, the Moloney’s planned to make the most of their future space. “We always felt our kitchen was too small and were keen to make it the heart of the home and a more modern, sociable setting,” explains Mrs Moloney. With lots of ideas and plenty of space to play with, the Moloneys set about finding the right kitchen design firm to help them create the kitchen of their dreams. 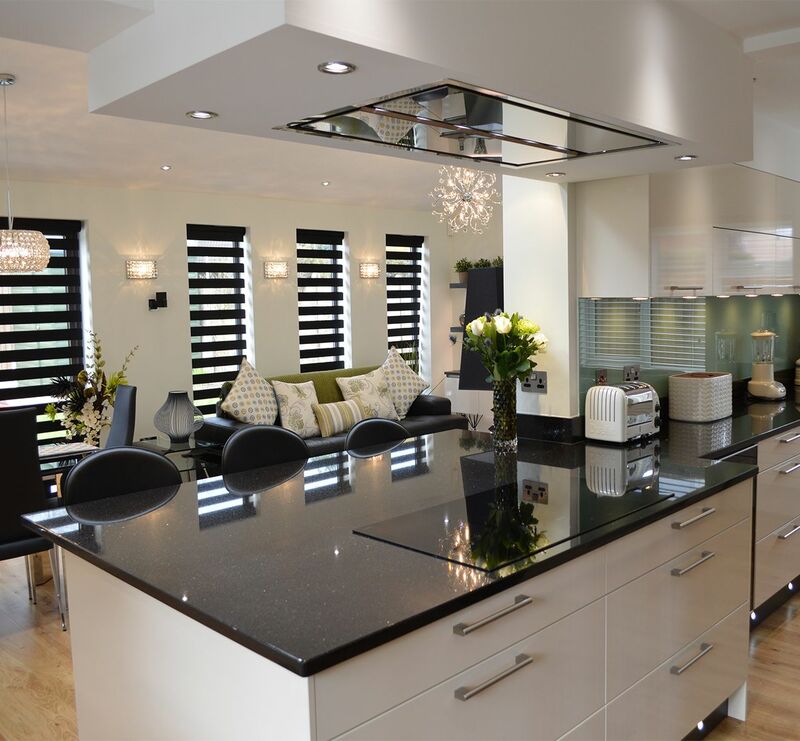 “We found out about Kitchen Design Centre through Housing Units, where they have their own showroom. We knew they had an excellent reputation, so we decided to approach them with our project,” says Mrs Moloney. 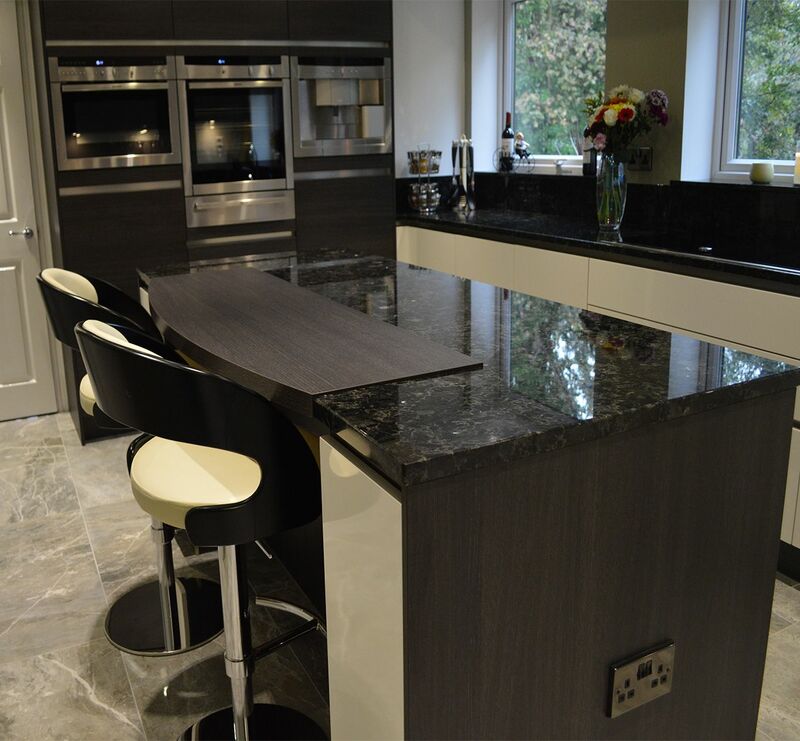 After discussing their kitchen requirements with Roger Astin – who put plenty of exciting ideas their way – the Moloneys made the decision to use Kitchen Design Centre for the project. “Roger came up with a few great ideas. He knew what would work best in our new kitchen and had a better idea as to where things would best fit,” explains Mrs Maloney. The Moloney’s kitchen was kitted out with a German-inspired design, combining an AGA with its companion AGA cooker, alongside a leather upholstered seating area, large dining island and a living space with a TV. “We opted for modern colours, mixing dark with light and chose a gloss finish – which not only looks good but is easy to wipe down too!” laughs Mrs Moloney. Other appliances installed in the Moloney’s new kitchen included top-of-the-range Neff and Quooker products along with Sensio lighting. The unique and unusual balance of appliances and style left the Maloneys with a kitchen of their own design, perfect for all their needs. “Our new kitchen really works for us. The corner seating area is perfect for our family of five. We can also eat a quick breakfast at our kitchen island, which also has the benefit of plenty of storage space too,” smiles Mrs Moloney. 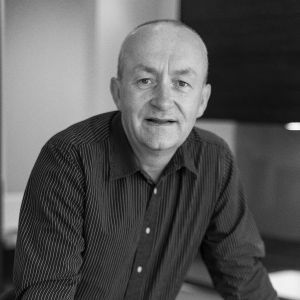 “We enjoy a comfortable leather booth at our local pub and gave Roger the challenge of copying it in our kitchen which he managed to do”. 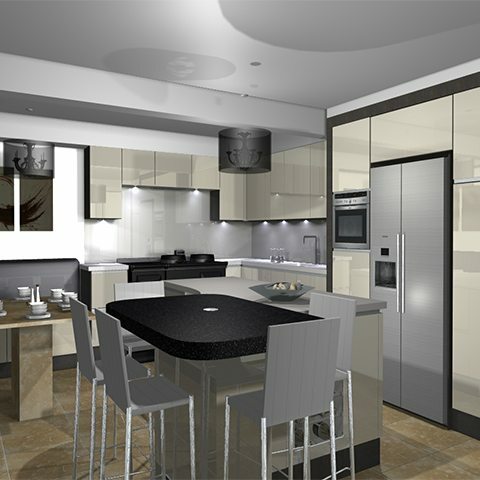 "Kitchen Design Centre came up with so many great ideas – they certainly knew what they were talking about!" "The Moloneys came to us with quite a list of priorities. They wanted a traditional AGA cooker, supplemented with modern Neff appliances. It was tricky to adapt a minimalist, handless kitchen to work around the AGA and an American fridge/freezer, but we’re all really happy with the results."